Kelvin is 16 years old, born on 11/9/2000. 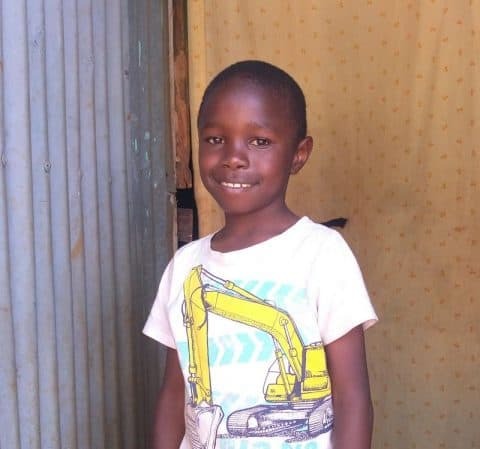 He is in form Two at Langata High which is a county and boys boarding School. He has been in the program since 2012. While in the program he has benefited through education, nutrition, health and community support. Also, he has gone through career development and reproductive health seminars. He actively participates in the Saturday program where he engages in various activities. He lives with his mother and two brothers since his father shifted to the rural home. His parents are both HIV positive but he has tested negative. Kevin is an average performing student. In the last exam he scored grade C – .He is a very social boy who interacts well with his fellow students. He has a group of close friends. His best friend is called Salim. He would like to be an electrical engineer in the future. The family lives in a single roomed house made of iron sheets in Ngando slum a densely populated area. The house has an electricity connection. They use a stove to cook their meals. The family shares bathroom and toilet facilities with their neighbors. Kevin eats three meals a day and shares a bed with his siblings. His mother works as a pre-school teacher at a local school. They also have a television set hence the family gets some entertainment. 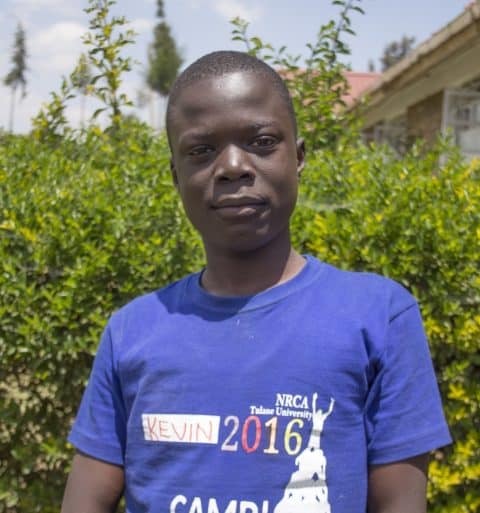 Kevin said he will be happy for sponsorship and will continue working hard in his studies.